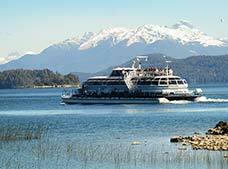 From Bariloche, there are several trips you can take by land or on the waters of Lake Nahuel Huapi and the rivers that empty into it. 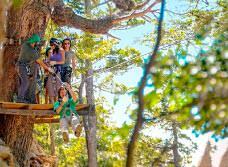 You can find a variety of fun activities like hiking up mountains, strolls through beautiful woods filled with Chilean Myrtle (Arrayan) trees and cypresses. 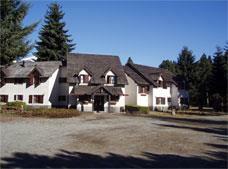 Cross-country skiing, sledding or snowboarding can be done here, among other such sports. 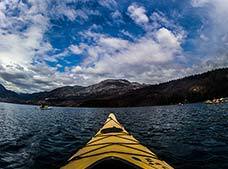 During the winter months of June to August, skiing is the most popular activity whereas rowing, fishing, hiking and other such adventure sports are preferred during the summer. 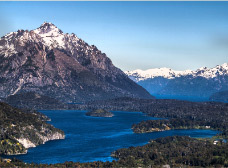 About 10 miles from downtown Bariloche, you can find Cerro Campanario (Campanario Hill), from where you can enjoy a marvelous view. It has a lookout point, several tea houses, restaurants and a tea room where you can try wonderful food and buy products from the region. 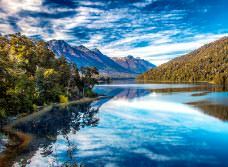 You can also find the Llao Llao Municipal Park, a forest that has marvelous examples of Coihue trees (tree native to the area), cypresses and Chilean Myrtles, all elements for a lovely walk. 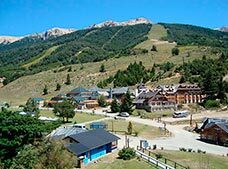 With over 74 miles of roads and 40 ski lifts available for skiers of all levels, Cerro Catedral (Catedral Hill) is the largest and most modern ski resort in South America. 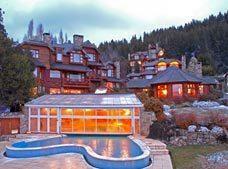 Located about 12 miles from Bariloche, Cerro Catedral has exceptional conditions so that you can do a little cross country skiing. 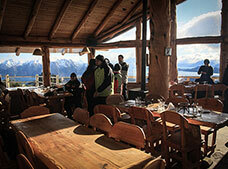 It is also the location of the main national and international snowboarding championships. 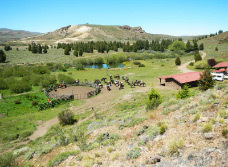 With the first snowfall in the month of June, tourists arrive looking for a bit of skiing and fun, enjoy ATV rides, take a spin on a snow mobile or go cross country skiing. 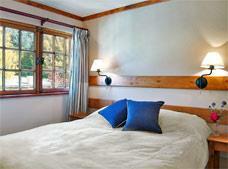 The Villa Catedral Base Camp offers a variety of hotels of all categories, restaurants, shops, a casino and ski schools. 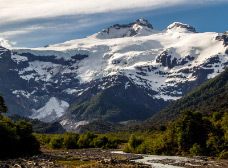 On the road that leads to the Pampa Linda (which borders the Guitierrez and Mascardi Lakes), you can find Cerro Tronador (Tronador Hill), the tallest mountain in the region, at a height of 3,480 meters above sea level. The line that divides Argentina from Chile runs through here and you can also enjoy the view of the glacier of the Manso River. The name of this hill comes from the thunderous din that comes from when the blocks of ice fall into the water, upon breaking from the glacier. 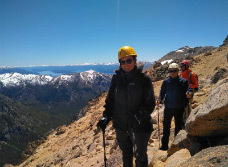 Go mountain climbing and fishing in the Los Moscos Lake and everywhere from the Manso River up to Lake Hess. Upon returning, take a detour up to the Los Alerces Cascade where you can see an impressive 30 meter fall. 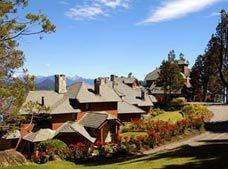 Go skiing and do a little adventure tourism in Runge, Leones and Otto Hill. 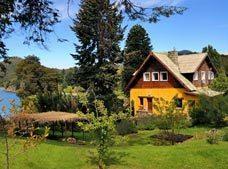 On the northern slope of Runge Hill, you can find an amazing panoramic lookout where you can see flora and fauna of the region and a whole forest of Chilean Myrtle as well as a museum dedicated to the pioneers of skiing and mountaineering in Bariloche. 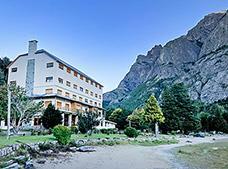 Leones is a majestic rocky mountain with caverns that were inhabited by primitive man. 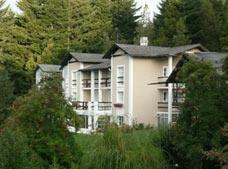 Another interesting aspect of this mountain is that there is also a fresh water spring inside. 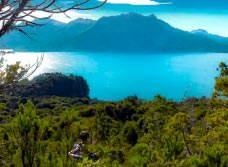 From the top of Otto Hill, enjoy an exceptional view of Lake Nahuel Huapi, Catedral, Lopez and Capilla Hills, as well as the beautiful valley of Chall Huaco. 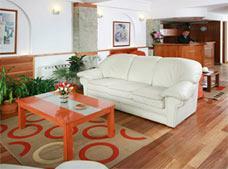 You can also find the Nordic Ski Center, the Neumeyer Refuge and the Museum of Otto Meiling. 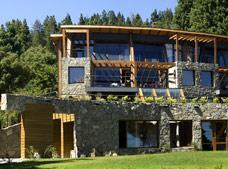 Navigating across Lake Nahuel Huapi is one of the most stunning attractions of this destination. 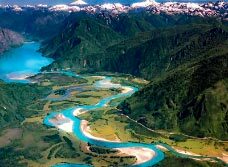 It was formed from a glacier and the lake itself is 400 meters deep, bordered by the beautiful Andes. 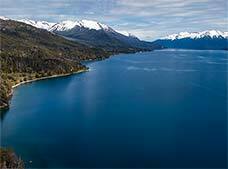 The dream of conservation of this national treasure for generations to come had given rise to the first national park of Argentina, making it the most characteristic landscape of San Carlos de Bariloche. 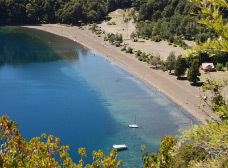 The Nahuel Huapi Park has many lakes, rivers and streams where you can go sports fishing for trout and salmon from November to April. 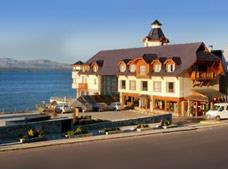 There are various routes that leave from Bariloche and go to different ports on the lake. 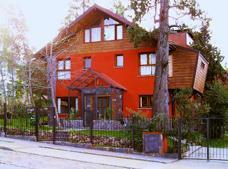 In Bariloche, you can find various museums that are worth visiting. 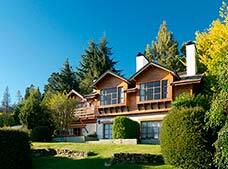 The Museum of the Patagonia shows the history of the area from primitive times, covering the main indigenous cultures and their eventual extermination to the founding of Bariloche and the first colonizers. The Paleontological Museum exhibits an invaluable collection of dinosaur fossils that came from different geological periods of the lands in the region. 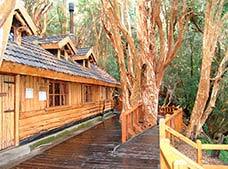 The Icticola Museum, located in the Club de Caza y Pesca de Bariloche (Hunting and Fishing Club of Bariloche), offers a collection of fish that inhabit the lakes and nearby oceans, including the largest trout ever caught (35 pounds, 38.9 inches). The Museum of the Viejos Colonos (Old Colonists) narrates the history of the first Swiss immigrants through a photography collection, tools and testimonies on the life of the colonists upon their arrival to the region in 1895. 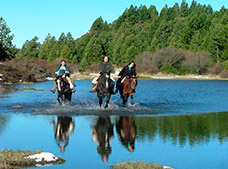 For its geographical and geological characteristics, Bariloche offers a great variety of attractions throughout the year. 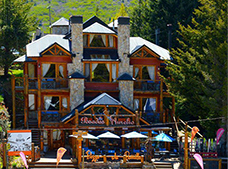 With a calendar filled with activities that combine sports, culture and entertainment, Bariloche offers something different for every season.